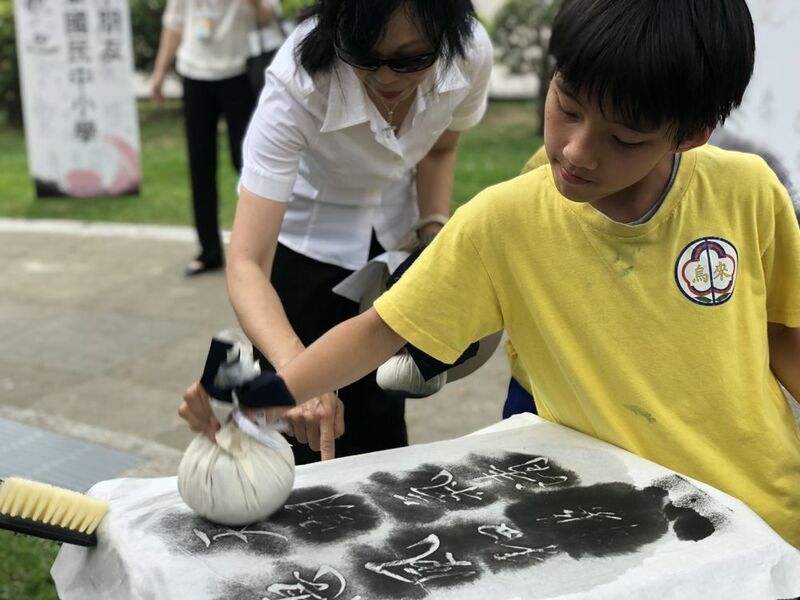 National Sun Yat-sen Memorial Hall in Taipei invited indigenous Atayal children from New Taipei's Wulai District to take part in a ceremony introducing Chinese Calligraphy inscription tablets, as part of activities to celebrate the 46th anniversary of the hall's official opening on May 16. 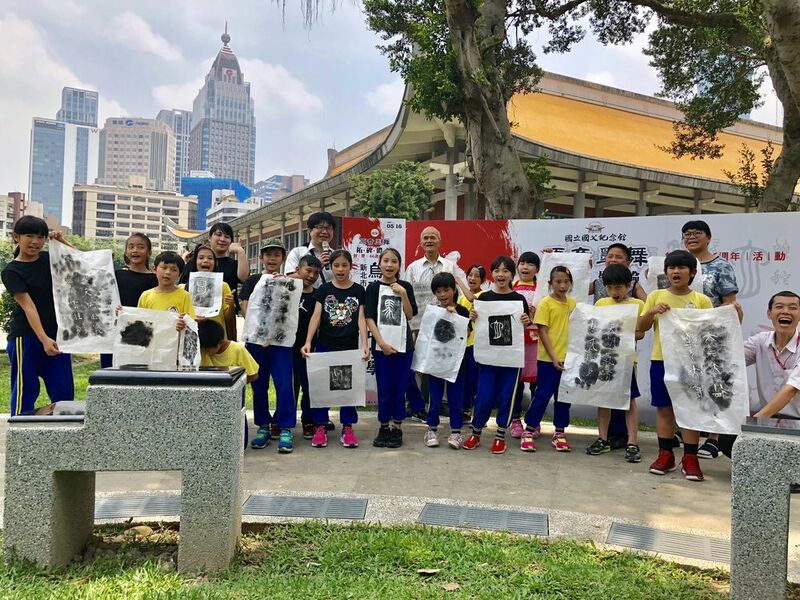 Third and fourth grade students from New Taipei Municipal Wulai Elementary and Junior High School were invited to make rubbings from the tablets. It was the first time the school has taken part in activities at the memorial hall. 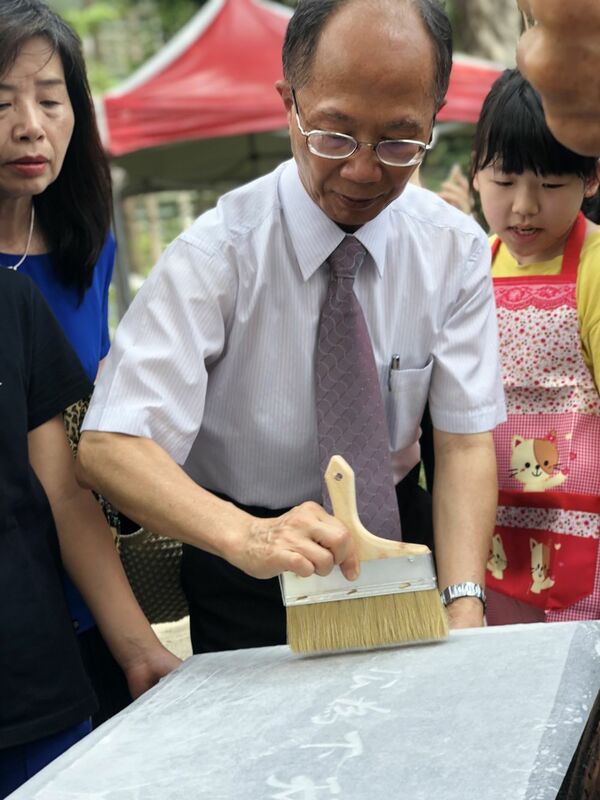 National Sun Yat-sen Memorial Hall Director-General Lin Kuo-chang (林國章, center) shows the children how make inscription rubbings by first moistening two layers of rice paper and positioning them on the inscription "World for the mankind." Lin carefully uses a brush to expel the air trapped between the sheets of paper. 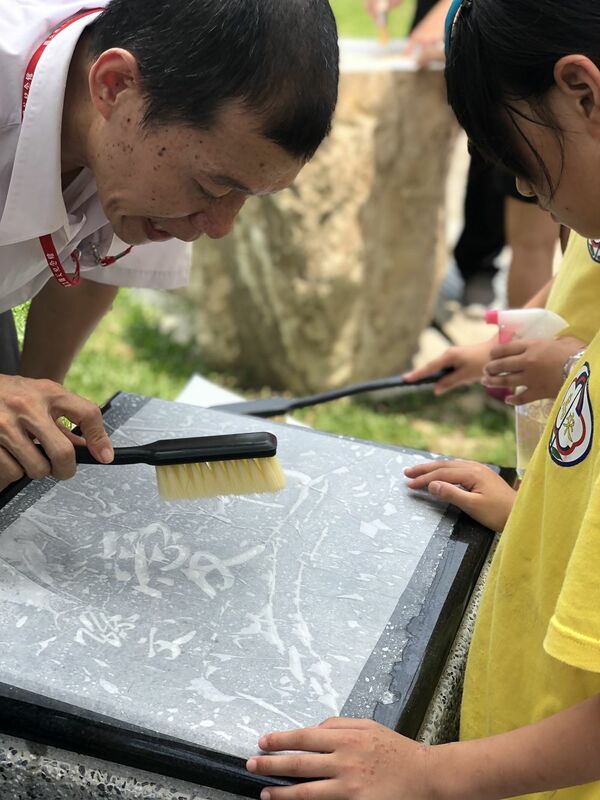 Wang Pin-lun (王秉倫, left), a division chief at the memorial hall, works with the children as they make inscriptions of the word "Philanthropy," which appears in the texts and teachings of Dr. Sun Yat-sen, founding father of the Republic of China. 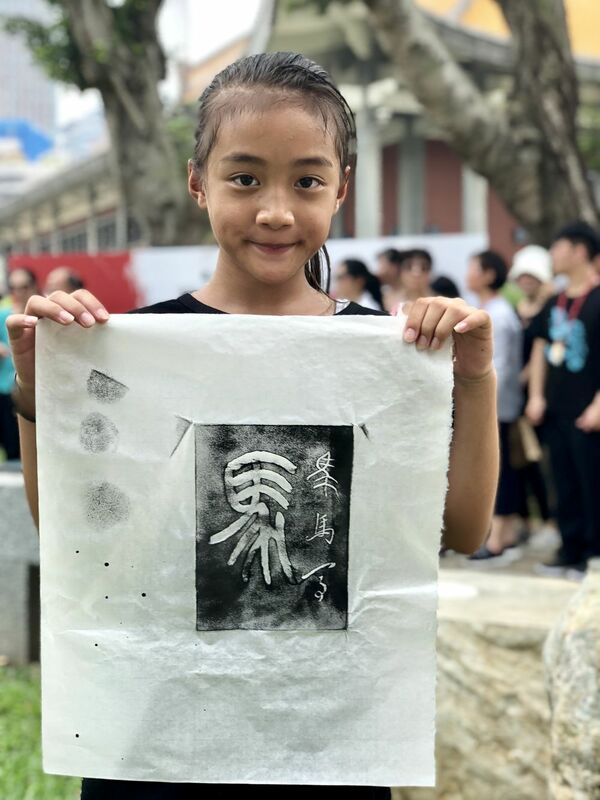 A student from Wulai proudly displays his school logo while dabbing black ink on his inscription and occasionally on himself. 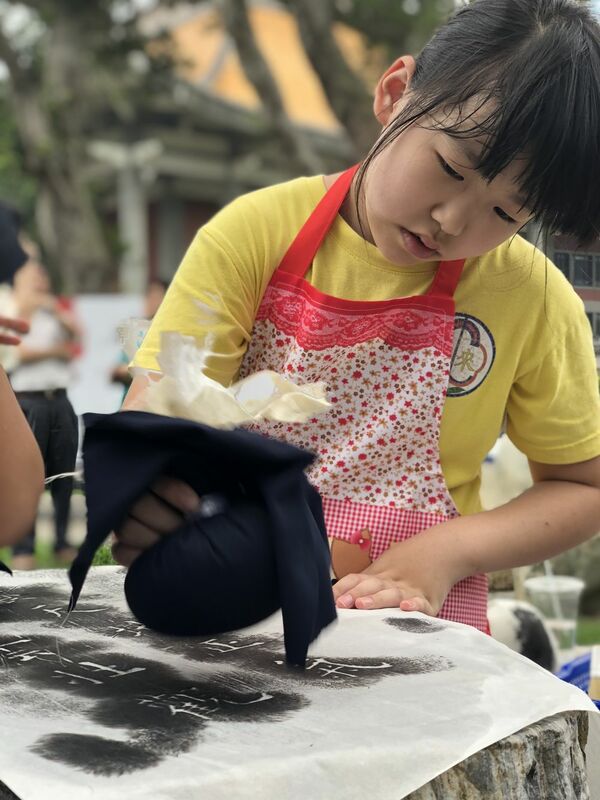 A young girl from the school wears an apron to avoid getting her uniform dirty and carefully applies the ink so as to not over-soak the rubbings with black ink. 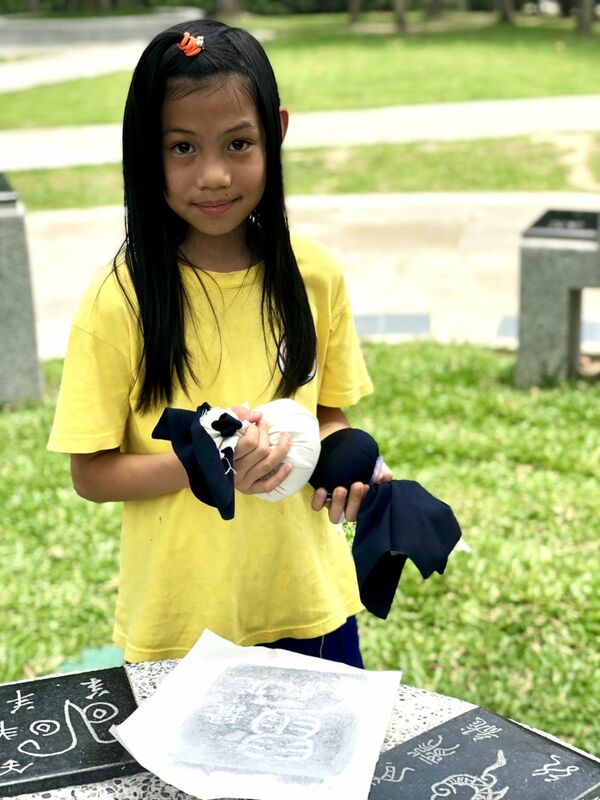 A young girl poses for the camera as she prepares to apply ink to her rubbing of the Chinese character "rat" from the 12 animals of the Chinese Zodiac. 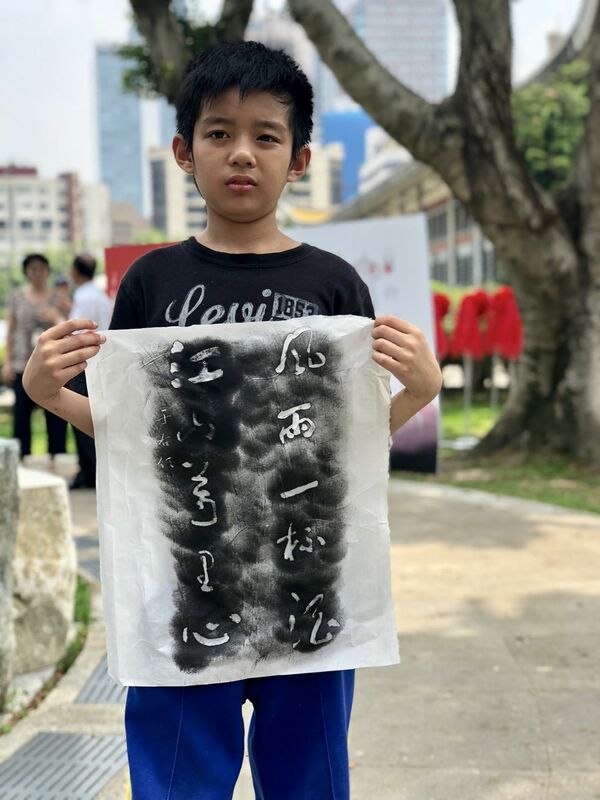 A boy poses with his inscription rubbing of "Seeing only wind and rain my heart lies heavy yet determined to offer everything for my home" by early Republican Era calligrapher, scholar and politician Yu Youren (于佑任, 1879-1964). Lin (right) poses with students and their inscription rubbings. 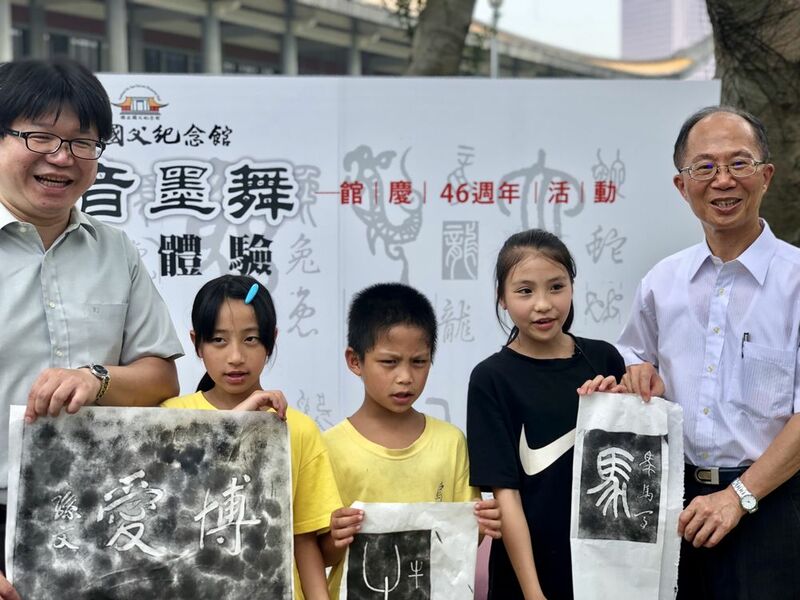 The Chinese Calligraphy inscription tablets have been installed to allow future generations of children to better understand and learn culture through play and interaction, Lin said at the event.